I waited patiently to create this “top 2013 desserts” post until we approached the next chocolate-filled holiday. I really didn’t think you’d want to see this list at the start of January (or did you?). Either way, I hope we’re all ready for some treats! Whether you love or loathe Valentine’s Day, I personally think it’s perfect excuse to indulge in the finer things in life…like chocolate and pasta. Not that I haven’t been doing that since the start of the year, but you know. Don’t forget to tell us your favourites below! Did any treat fall through the cracks? 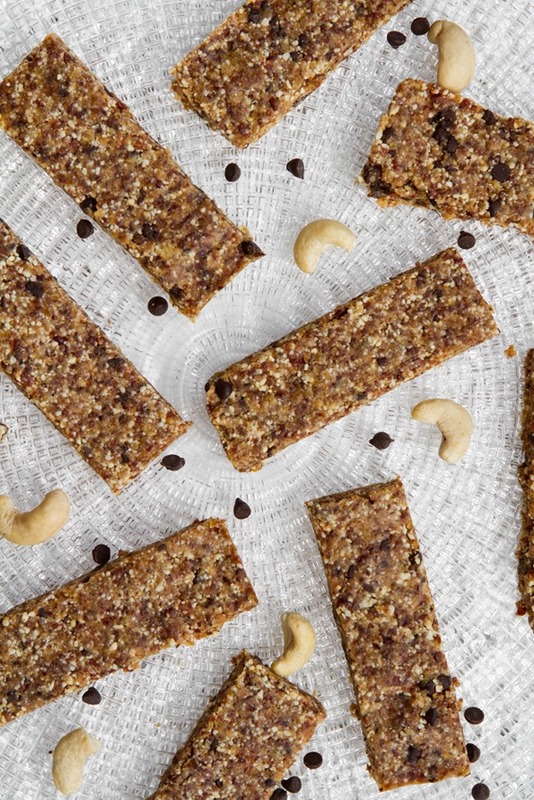 These bars are bursting with three of my favourite flavours – almond, coconut, and chocolate! It’s hard to go wrong. A soft and nutty toasted almond-oat crust forms the base. 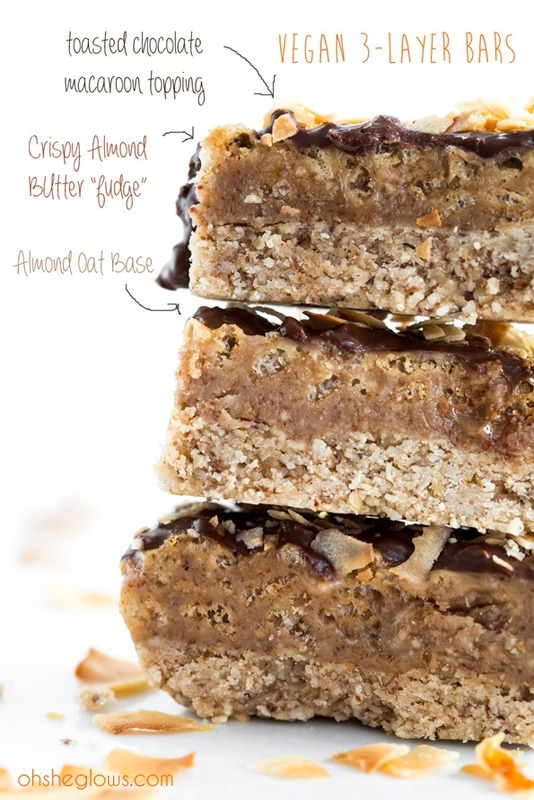 The middle layer is made up of a no-bake almond butter “fudge” enhanced with rice crisp cereal for a wicked crispy texture. The bars are topped with a dark chocolate “macaroon” coating and garnished with big flakes of toasted coconut. Need I say more? 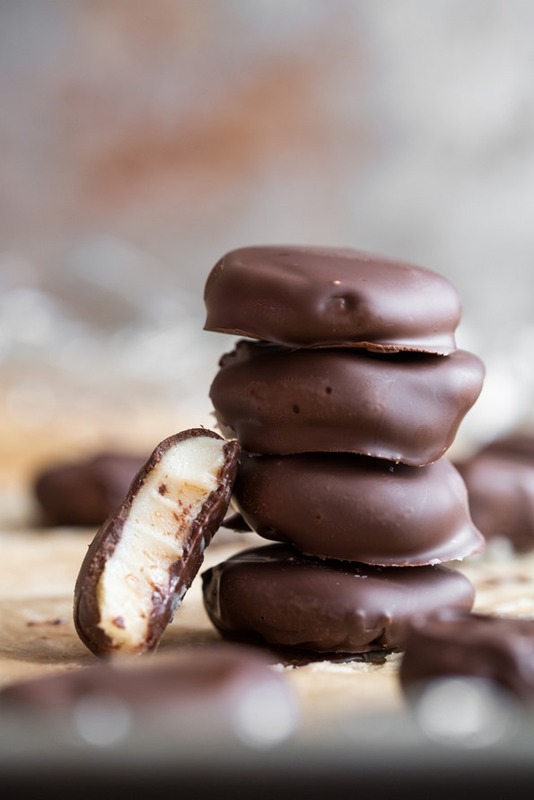 Luxurious, invigorating, melt-in-your-mouth peppermint patties made from scratch! Even better than store-bought versions. Many of you gushed about these in the comments section. I suggest keeping these in the fridge or freezer for the best texture. The chocolate coating gets all snappy which is a wonderful contrast to the creamy middle. 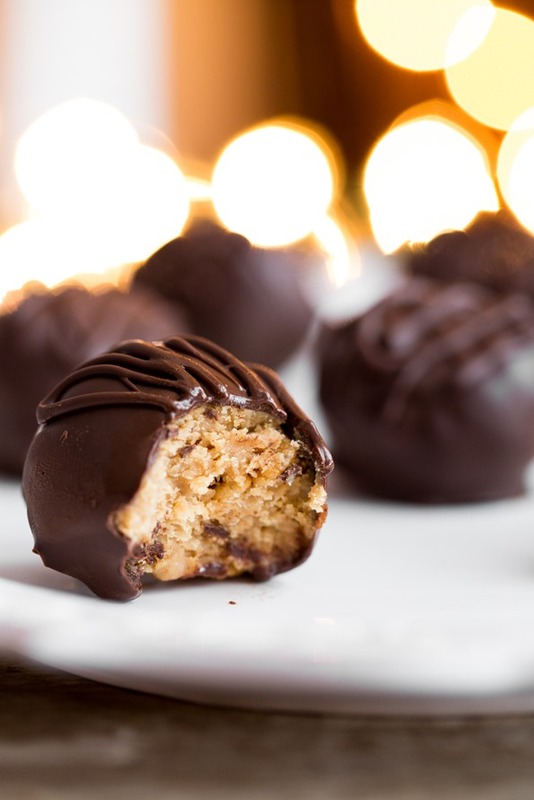 These peanut butter balls forgo the powdered sugar and butter and instead use a few lighter ingredients with only a fraction of the sweetener compared to traditional recipes. You’ll wonder how you ever lived without this lighter version! 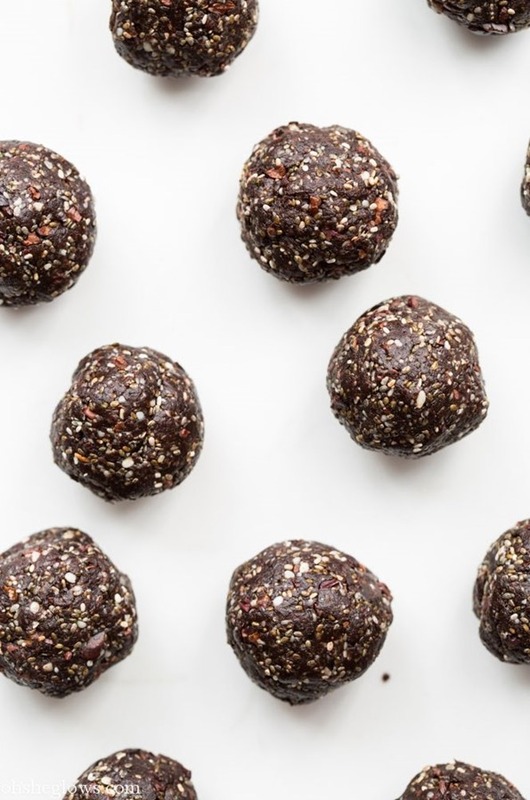 Nut-free chocolate energy bites featuring hemp, sesame, and chia seeds! A balanced on-the-go snack for a quick energy boost. 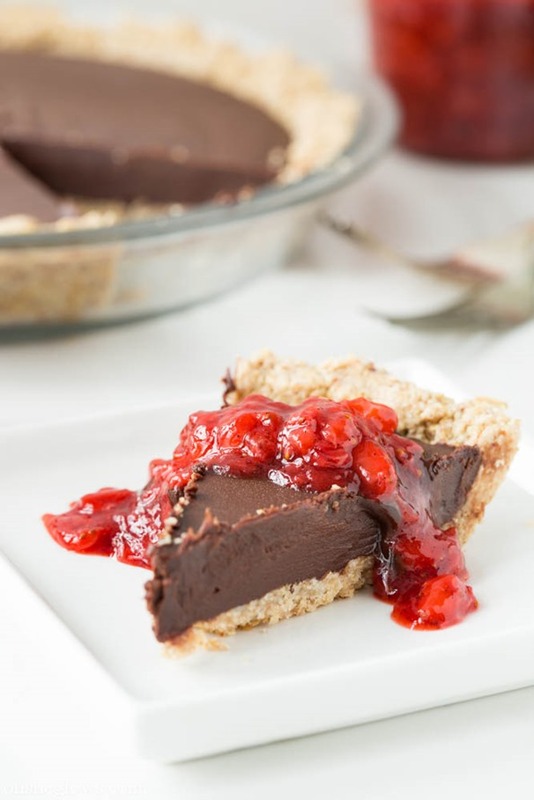 A nutty, gluten-free crust is filled with a rich dark chocolate fudge filling all topped off with beautiful strawberry vanilla compote. There are just no words that can convey how much I love this pie! Read through the comments – this one has been a big hit over the past year. See why my entire family went crazy for this raw fudge! Cake balls made gluten-free and vegan with a fraction of the sugar. A fun V-day treat when you dress them up in festive heart cupcake liners and homemade pink shredded coconut. In case some of you aren’t familiar, maple butter (or maple cream) is pure maple syrup that has been boiled to a certain temperature, left to decrease in temperature, and then whipped/stirred like crazy for a good 30-35 minutes. 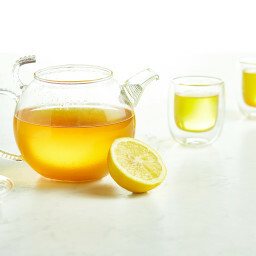 This technique is hard work, but you’ll forget all about it upon first taste! 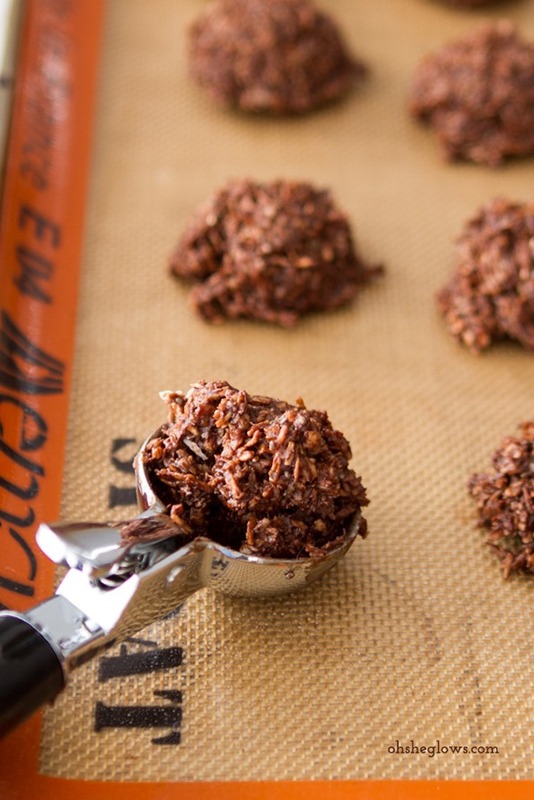 Super quick & easy no bake chocolate macaroons! All the taste without turning on the oven. Homemade Larabar knock-offs for a fraction of the cost! A great bar to store in the freezer for snacking or running out the door breakfasts. 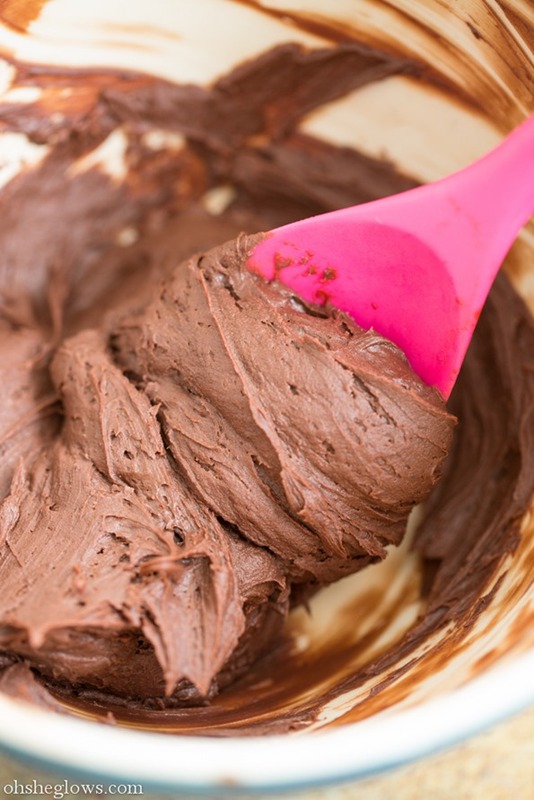 A luxurious fudge frosting with just two ingredients. No butter or shortening required! I had no idea these were going to be such a hit. I love them and all, but I had no idea how excited you’d be to try them out! 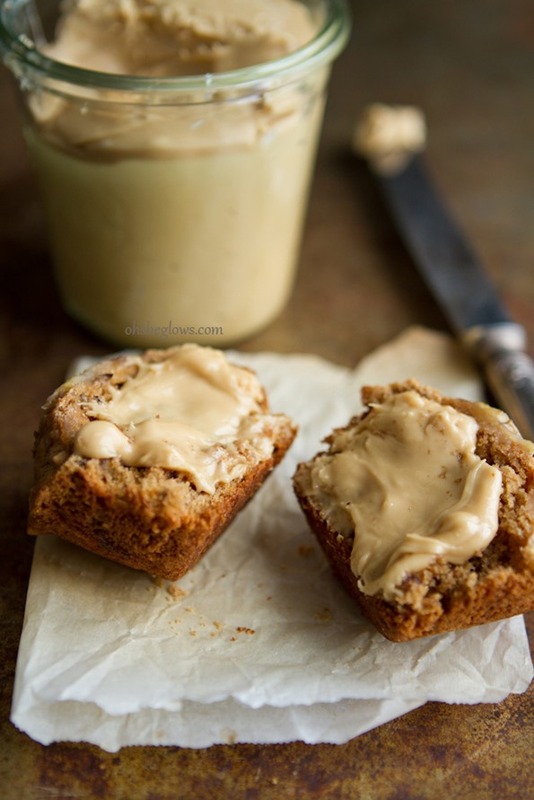 These are inspired by the peanut butter cup candy, but so much tastier and better for you! For the thick chocolate coating, I made my own chocolate using cocoa powder, coconut oil, and sweetener. Feel free to simply use melted dark chocolate if that’s what you have on hand. So there you have it! You guys seem to love quick & easy, no-bake desserts. I can’t say I’m any different. In case you are curious, my personal favs from this list are: Creamy Dreamy Peppermint Patties, Chilled Dark Chocolate Pie, Raw Chocolate Walnut Fudge, and Pure Maple Butter. that chilled dark chocolate pie is making me swoon…. being your new next door neighbor that by default becomes your new bff/ taste tester is a irrationally high up there. Omg this all looks amazing. Eating a salad while reading this was….painful lol. But can’t wait to try out a few of them! I love this list no matter what time of year. And I agree Valentine’s day is the perfect time to indulge with lots and lots of chocolate. Oh man, now I want each and every one of these, riiiiight now! OMG these all look sooooooo good! I can’t wait to try them all. 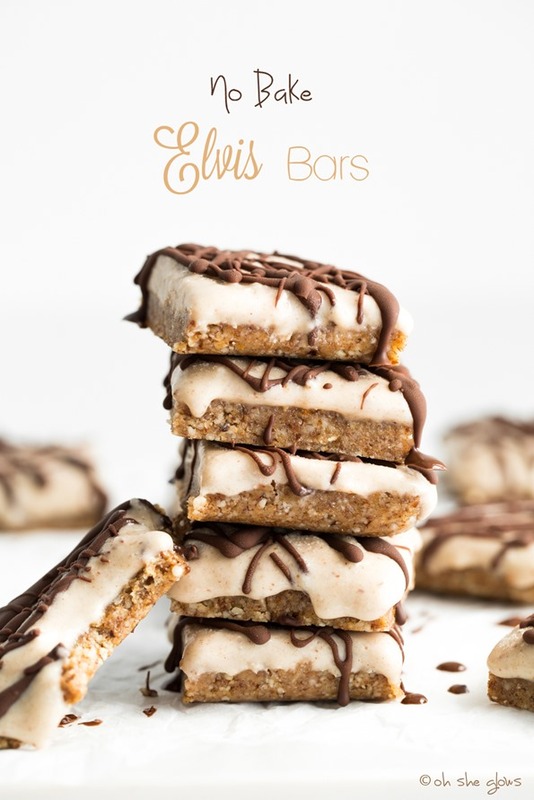 I made the Elvis bars a while ago and they are great. 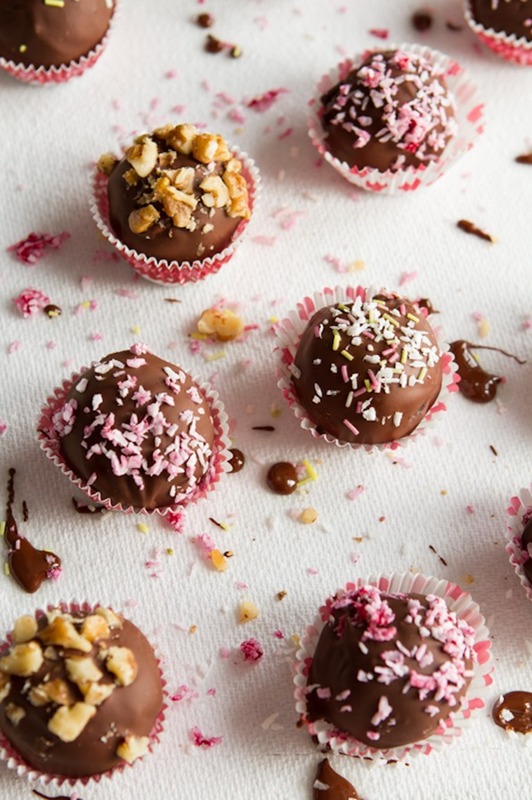 I just posted a recipe for Chocolate Hazelnut truffles that are really similar to your peanut butter balls, yummy! I am actually salivating – these look amazing esp. the chocolate frosting!! Can’t wait to try the chocolate tart! Thanks for the wonderful list! WOW! These look unreal!! How do you not eat all of them at once?! … Seriously I need to know…. I recently ate all the peppermint patties I made. Delicious but definitely not a good choice. Anyone else have some good tips on hot to make the chocolate love last?! I vote for the chilled chocolate pie! I made if for a family get-together and it was a hit! So rich though, that I’m considered making them into small bars next time instead, and topping with coconut milk whipped cream to cut it. I just tore my pantry apart looking for chocolate…any chocolate…not even a chip…WHY DID I READ THROUGH THIS POST!!?? I can’t wait to make the Elvis bars, Peanut Better Bars and you Creamy Dreamy Peppermint Patties. I have made and loved the cake balls (although I added too much coconut so dubbed them truffles and everyone loved them!) and one that is missing are your Twix Bars. I have yet to make a recipe of yours that isn’t fantastic. I can’t wait to get your cookbook in March. (Pre-ordered it in Jan!!) Thanks for sharing! I haven’t made ANY of these recipes. I’m so disappointed in myself haah!! I think I need to stock up my pantry and then pick a day to binge bake!!!! Oh my gosh, I am drooling!! Those peppermint patties look soooo good. They are on my must-make list, for sure! Your roundup posts are always my faves Ange! Because I don’t eat a lot of sweets I can’t say I’ve made many, but those no-bake Elvis Bars and the peanut butter balls are tucked away for the next time I need to make a sweet treat. Even though I consider myself more of the savoury sort, every single one of these photos makes me salivate! Gorgeous! Your dessert ideas are such an inspiration. I would never imagined or figured how to make these vegan. Certainly not all desserts are created equal. If I had to pick one as my absolute most fav, it’ll be your raw walnut Fudge! These will be the perfect sweet treat for me to enjoy for my a reward after a hard training run or my 18 miler coming up again this weekend. Just because I am elite, doesnt mean I dont deserve a treat…that even rhymed :) It must be true! For some reason having them all together they look so much more epic!!!! I want them all! This is so awesome and it is not just because I’m so hungry! I love this compilation. Good to help the winter sweet tooth to turn healthier. Oh my gosh… this is like a SUPER post. 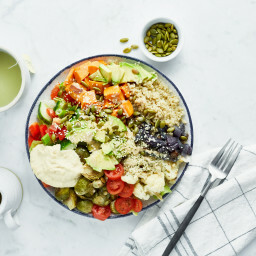 All these amazing recipes in one post – amazing!! I can’t wait to try these :) Always look forward to your posts… this one totally rocked!! The trailmix cookies are our go-to dessert around here (with the addition of dried cherries). I’m eating one right now! your pictures are stunning! these desserts look incredible – definitely one to try!! All the best for the next year of desserts! I will definitely be making the peppermint patties. I love mint and chocolate together! These all look wonderful! I’ve made the chocolate pie on repeat and am looking forward to trying the fudge or peanut butter cups next. Where do you find pure vanilla extract? I can only find vanilla with an alcohol or glycerine base. Anything from your website gets my tastebuds to dance! I really admire the work you have done! These peppermint patties look amazing!! I need to make them ASAP! I see a very ‘chocolate’ theme here…woman’s best friend. Awesome List. I need to try all those items!! I will definitely be making some of these! I just love anything that has chocolates! Thank you for the round-up. I make your cookie dough bars every couple of weeks. We enjoyed your chocolate pie recipe for Christmas. 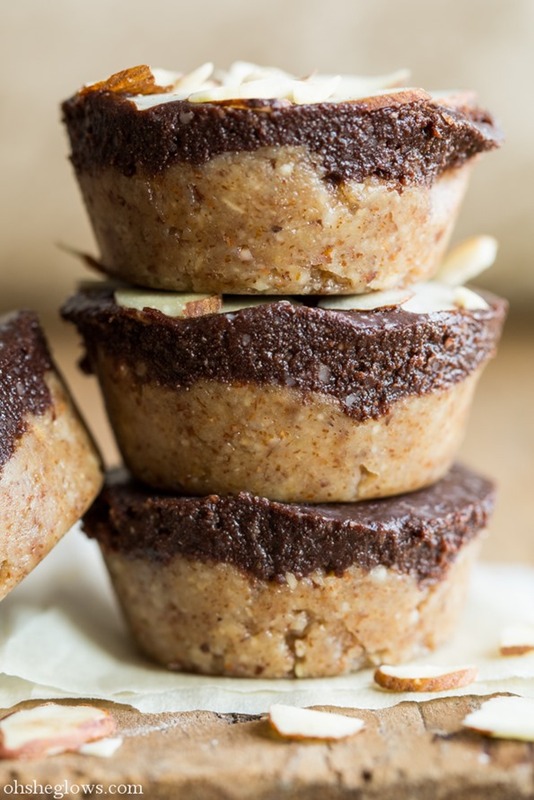 And the raw almond butter cups are on regular rotation as a treat for me and my husband. Thank you. 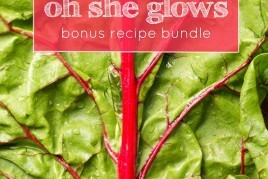 Can’t wait for your cookbook! I’m dying over this list. Must. make. all. I’m adding your rolo knock-offs to this list! So good and I get asked for them all the time by hubs. So I tried the peppermint patties and they turned out so good. New fav recipe! 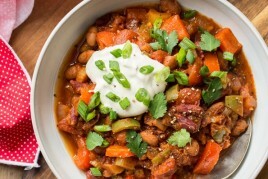 I’ve made four of these recipe’s out of your Top 13 list, and every time my non-vegan mind has been blown. I have even shocked some of my friends with some of your delicate treats. Thank you for being my introduction to a world that is so misrepresented at times. Vegan food is delicious when it comes from a good cook like yourself whom is also a talented artist as well. Your photos are what drew me in when I first came across your blog, and I hope your book sells like hotcakes. Congrats to all your success, and cheers to your future recipes that I look forward to trying. I’ve tried the Larabars before and those were delicious. I think I would toast them next time so make it a bit more complex. 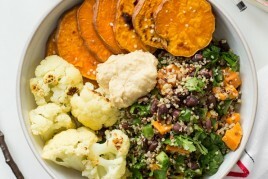 I’m a sucker for roasted cashews as well so will definitely be making this again. I just discovered this blog and I am blown away – these desserts look amazing! 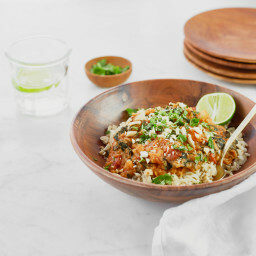 I’ve also preordered your cookbook – so excited to try it all out! Your frosting looks so delicious! I am definitely going to have to try making it sometime. I made a vegan mud pie for Valentine’s day similar to your chocolate pie and it was so yummy! Here’s the link if you would like to check it out. I made the fudge and it was so good…I shared it with a few coworkers and they asked for the recipe! I definitely want to try everything else on this list too…it’s hard to know where to start though when everything you make is always so great. Thanks for all the delicious recipes! This is the best dessert recipe ever! Out of the list I think there’s only one without chocolate! 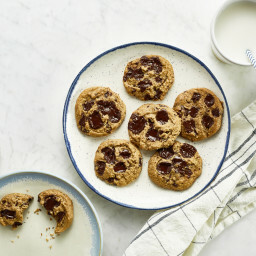 Any ideas on desserts without chocolate? I made 2 of these recipes: Raw Almond Butter Cups & Seductive Raw Chocolate Walnut Fudge – they are fantastic! I have made them to my family who is very new to the raw / vegan world and they really loved it. 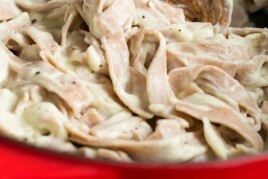 Your blog is inspiring, I love the pictures and the very descriptive recipes. Thank you Angela! 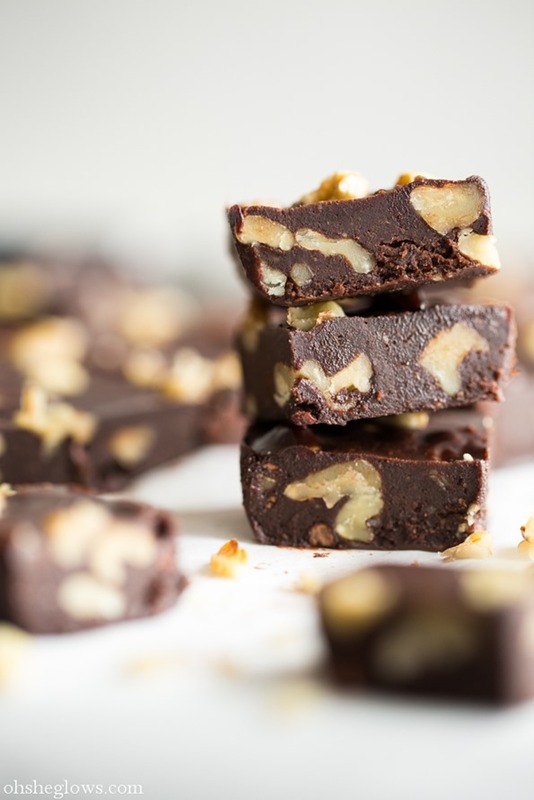 The Seductive Chocolate Walnut Fudge is OUT OF THIS WORLD DELICIOUS!!! Everytime I’ve made it I’ve impressed my guests! I can’t await to try the other recipes… everything looks ans sounds amazing!